Are you moving to or from Oxted in Surrey? For your Oxted Removals it’s good to know that Chatfields Home Removals know Oxted inside out. So firstly, you can reassured our local knowledge will help avoid any silly mistakes. 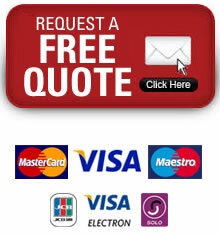 Secondly you can expect a competitive removals quotation based on experience of the local area. Transporting all your worldly possessions is a very important job – we understand that. Watching your household contents being driven off needs you to be fully satisfied that you’ve got the right removals professional removals company doing the job for you. We provide the professional and trustworthy range of removal services that you are looking for to ensure the job’s done properly for your peace of mind. Oxted is a commuter town in Surrey at the foot of the North Downs, north of East Grinstead and south-east of Croydon. 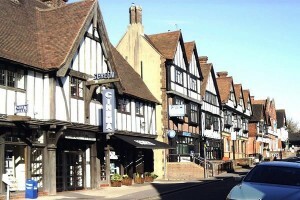 Old Oxted is the original village and is centred around a short high street with four pubs namely The Old Bell, The George Inn, The Crown Inn and The Wheatsheaf just off the A25. St Mary’s is Oxted’s oldest church, built some distance north-east from the original settlement of Oxted, but now almost surrounded by the new town. The church dates from Norman times and stands on a conspicuous mound, perhaps artificial. It is possible that a Saxon church of wattle and daub existed on the site before the later stone construction. With the arrival of the railway in 1884 Oxted boomed around its station, north-east of Old Oxted, and new buildings created New Oxted. These new buildings were built in the Tudor style. The Greenwich Meridian runs through Oxted School and Oxted. We also cover the surrounding areas in Kent, East Sussex, West Sussex, Surrey and South East London. I wanted to email you to say a huge thank you. Firstly, I can not thank Barbara and Mark for their incredible hard work last Thursday, getting us all packed up. I did thank them continually on Thursday but actually, it’s only now as we unpack that we really realise how amazing they were. Every single possession was packed to such a high standard. I think we probably had about 300 items of China and glass in total – not one of them was damaged or broken thanks to Barbara and mark. If we had packed ourselves I’m not sure if we would have any China and glass left! So a huge thank you to them both for their skill and making the whole process that much easier. That brings me on to the removal team on Friday – superb, excellent, sublime and amazing!!!! The four members of the team were all incredible in their own way and we can not thank them enough. Not once did they moan or complain- they just cracked on with the job (Our road is not the easiest for removals!!!) in such a professional way. On arrival at our new home they got us sorted so quickly – putting things where we wanted them and Dave was a little ray of light- rebuilding our furniture! Thanks to Chatfields, our move was almost totally stress free. I don’t think any move is 100% stress free but I know that some moves can be 100% full of stress!! So THANK YOU to your whole team. I’d be so grateful if you could pass on these thanks to everyone? We are now fully unpacked and have the rest of the boxes to return to you. Could you let me know the best way to do this?